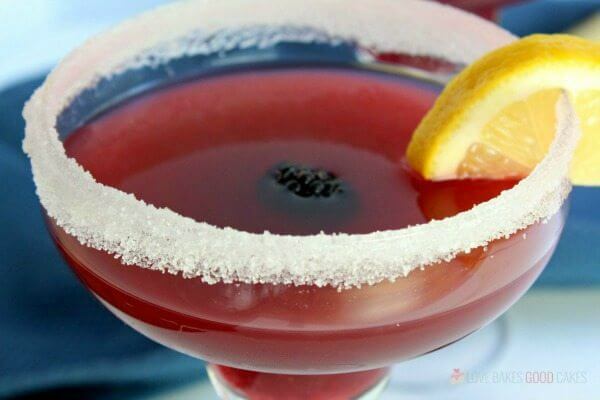 Shake things up with this delicious Blackberry Lemonade Margarita recipe. It’s the perfect drink for Cinco de Mayo celebrations and it’ll be an adult favorite all summer long! Save this recipe and plan on making it for Cinco de Mayo and throughout the summer! 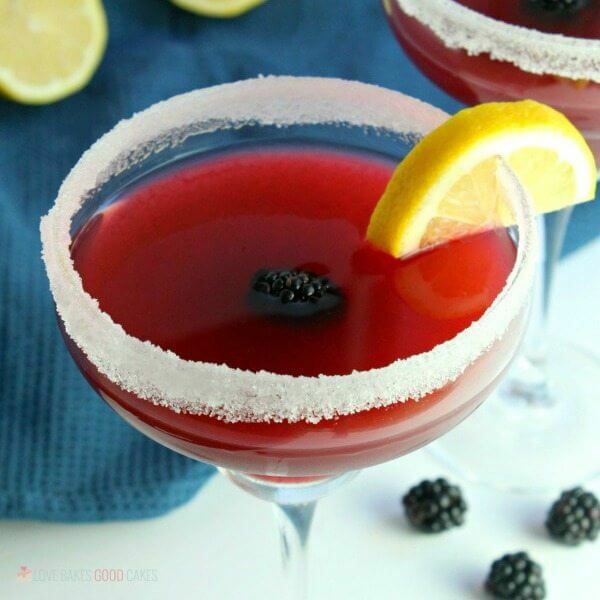 Fresh, sweet blackberries pair with tart lemons and silver tequila for an adult beverage you’ll love sipping on! It’s the perfect drink for entertaining, too! With all of the crazy weather going on across the country, I can’t help but to think of and hope for warmer weather for my friends. It’s crazy to think some of y’all are still dealing with insane amounts of snow and storms! One thing that always makes me think of summer is margaritas! And fruity drinks. So what could be better than a fruity margarita?! 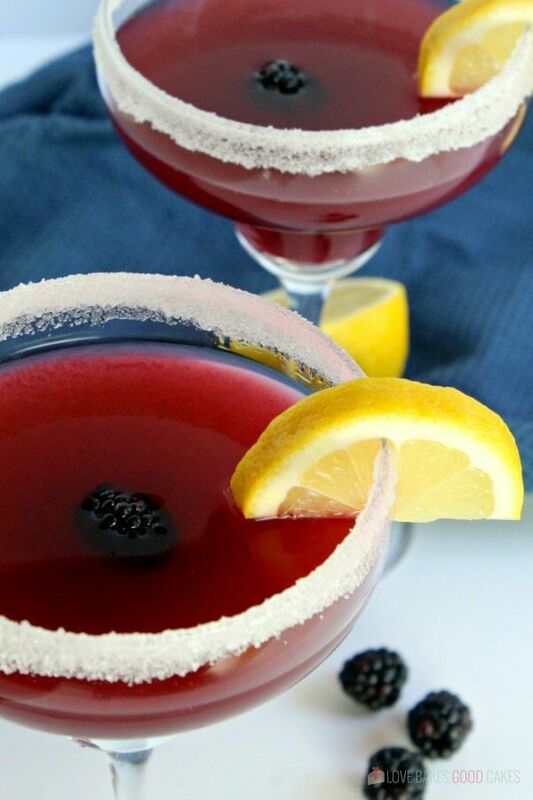 These Blackberry Lemonade Margaritas are a cinch to put together. And since fresh berries are in season – and often on sale this time of the year – now is a great time to make these yummy margaritas! Cinco de Mayo is only about two weeks away – if you can believe that! We’re planning on having a small get-together with a huge taco bar and all of the fixings. 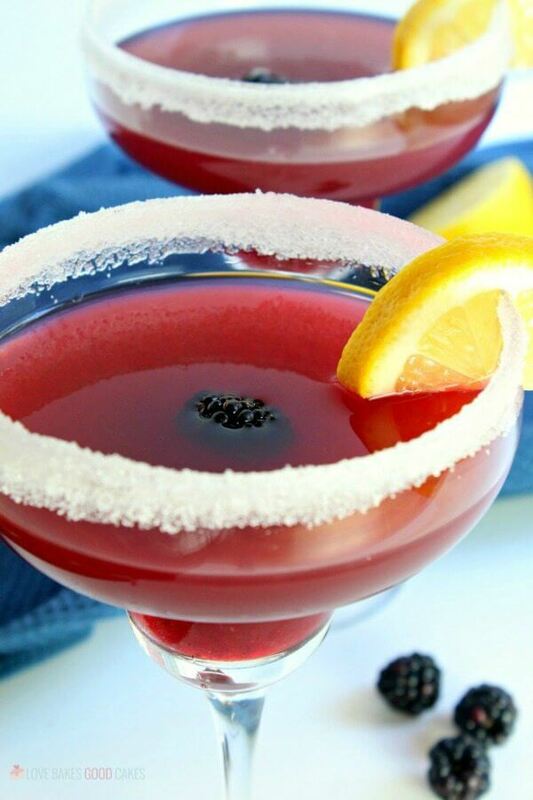 And of course, plenty of these Blackberry Lemonade Margaritas for the adults! 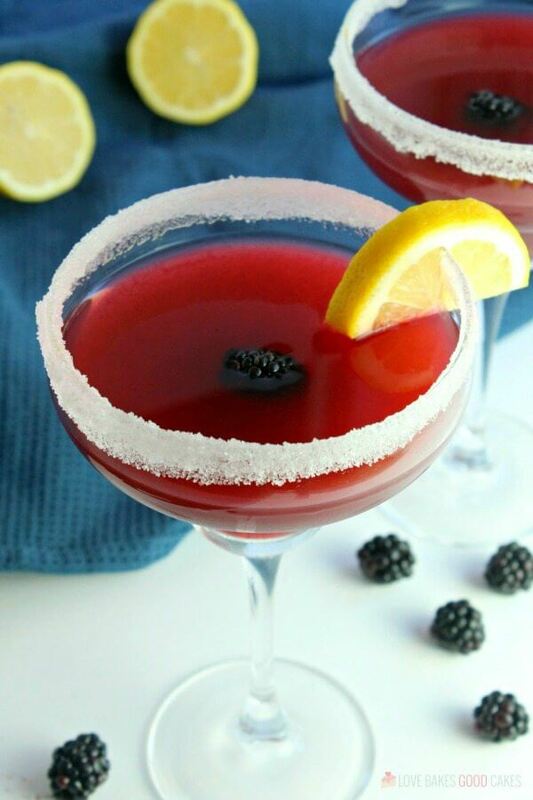 How can I make a virgin version of this Blackberry Lemonade Margarita? I’m a big believer in having all kinds of drinks options when entertaining … not everyone drinks alcohol – but they shouldn’t have to miss out on fun drinks! To make this virgin, substitute lemon sparkling water in place of the tequila. 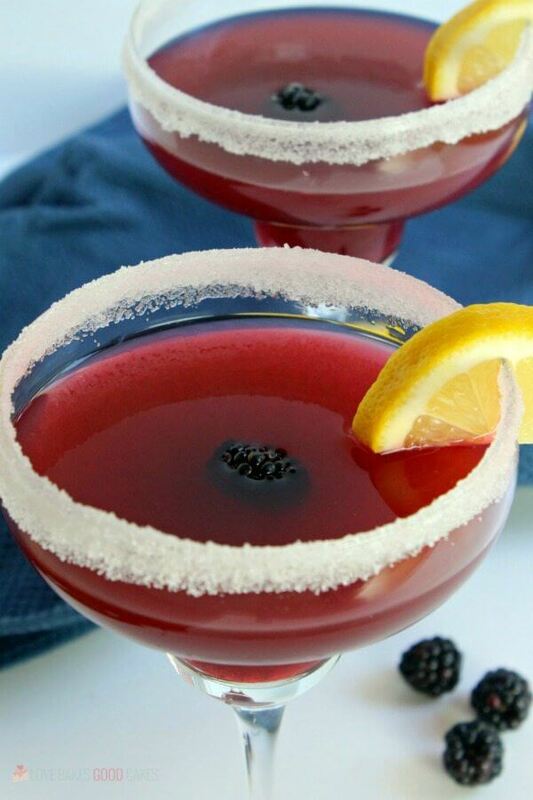 Shake things up with this delicious Blackberry Lemonade Margarita recipe. It's the perfect drink for Cinco de Mayo celebrations and it'll be an adult favorite all summer long! In a blender, pulse blackberries until smooth. Using a fine sieve over a small bowl, strain the blackberry puree. Use a spoon to press the puree through the sieve. This will remove the larger pieces of pulp and seeds. Add 2 tablespoons of sugar to the liquid blackberry puree and whisk to combine. Pour into a glass jar and set aside. Pour the remaining sugar onto a small plate. Zest one lemon and add the zest to the sugar on the plate, mixing to combine. Slice the zested lemon into wedges and run a wedge around the rim of two margarita glasses (or regular glasses). Then, turn each glass upside down and dip the rim into the sugar, turning until evenly coated. Fill each glass halfway with ice and set aside. Fill a cocktail shaker about three-quarters of the way with ice and add a tablespoon of blackberry puree, 1/4 cup lemonade, 2 oz. silver tequila, and juice from 1/2 of a lemon. Cover the cocktail shaker and shake vigorously for about 15 seconds. Place the cocktail strainer over the shaker and pour into the glass. 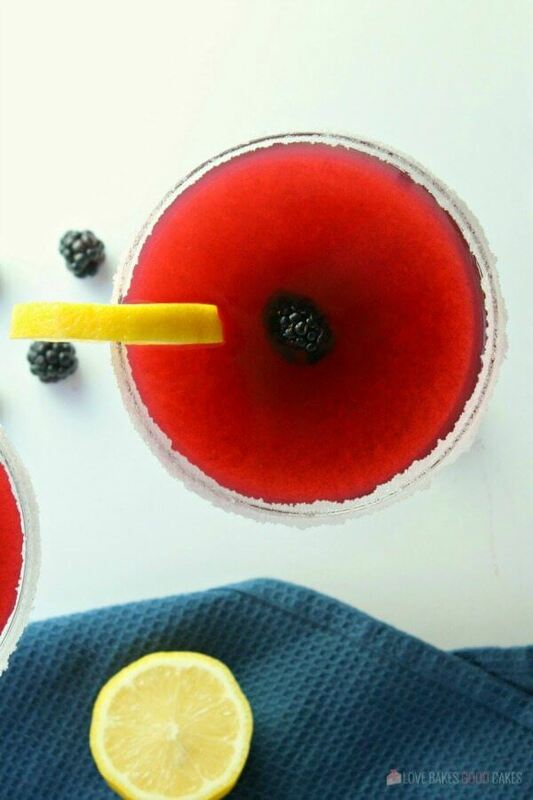 Garnish with fresh blackberries and a lemon wedge on the rim of the glass. Repeat for the second margarita. These look so good and refreshing! Can’t wait to try. I love your recipes! Thank you for sharing! 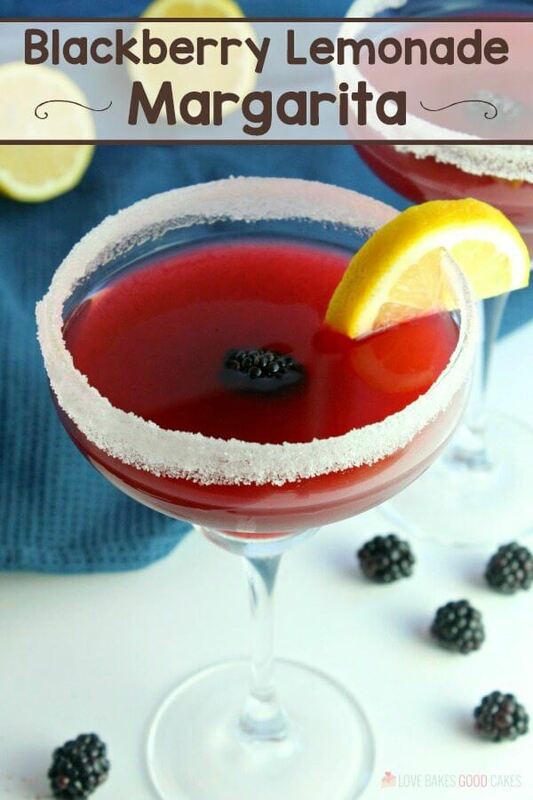 I have just bought a big pack of blackberries, gotta try this margarita.